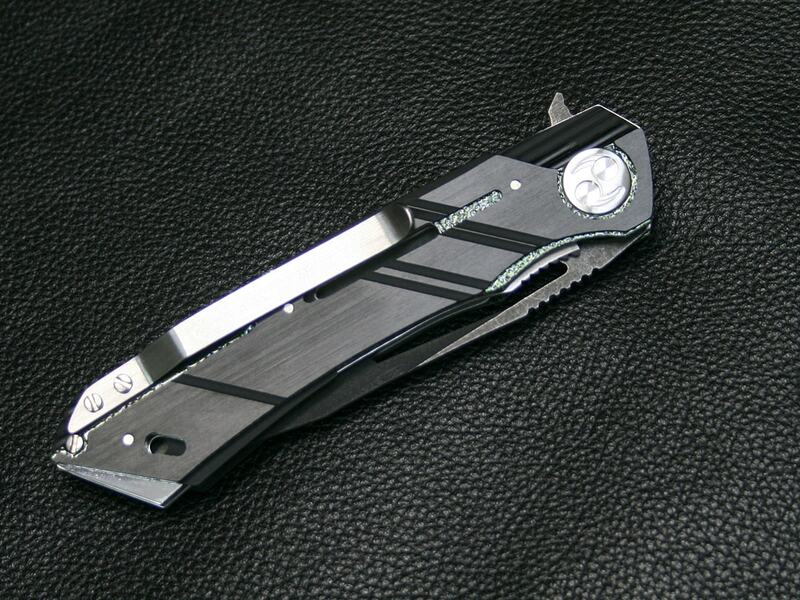 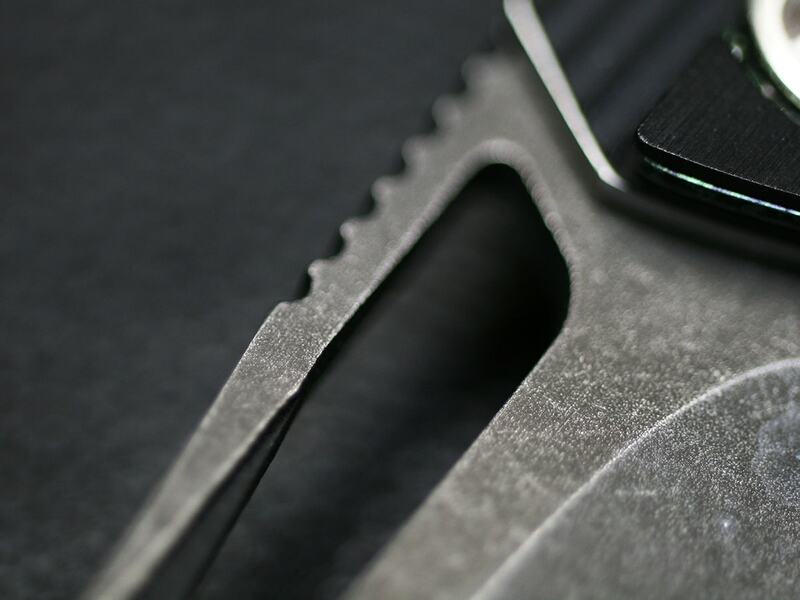 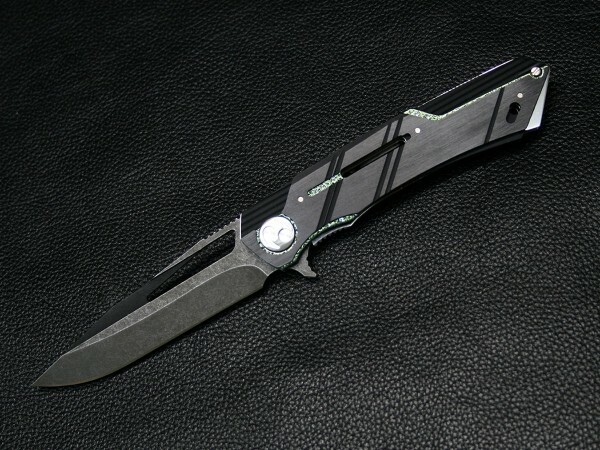 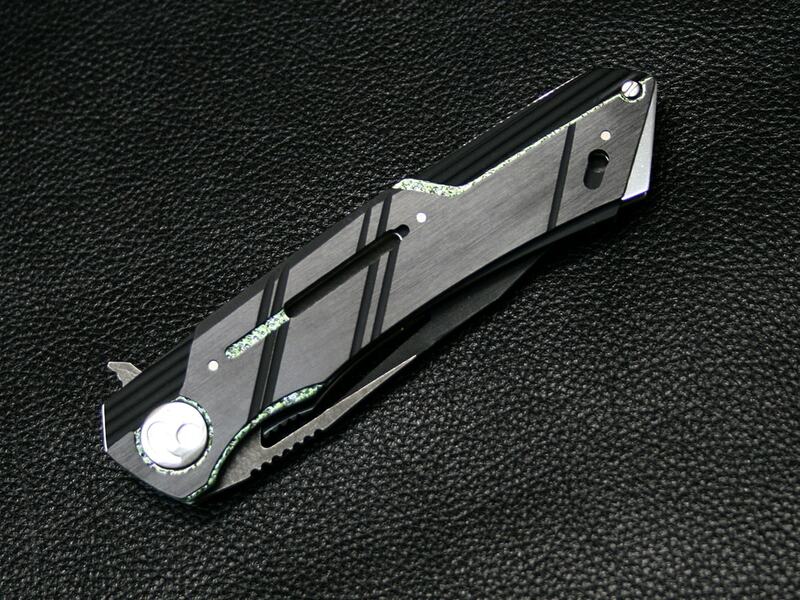 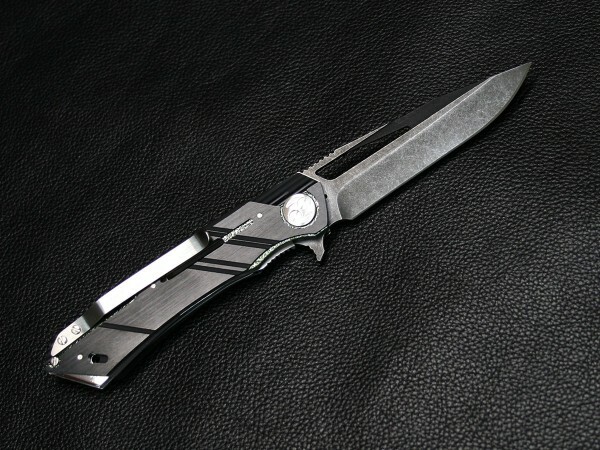 The drop point style blade is made from OU-31 steel with acid wash finish and powder coating thumb slot, satin flats, and it can be easily and instantly used via the flipper tab. 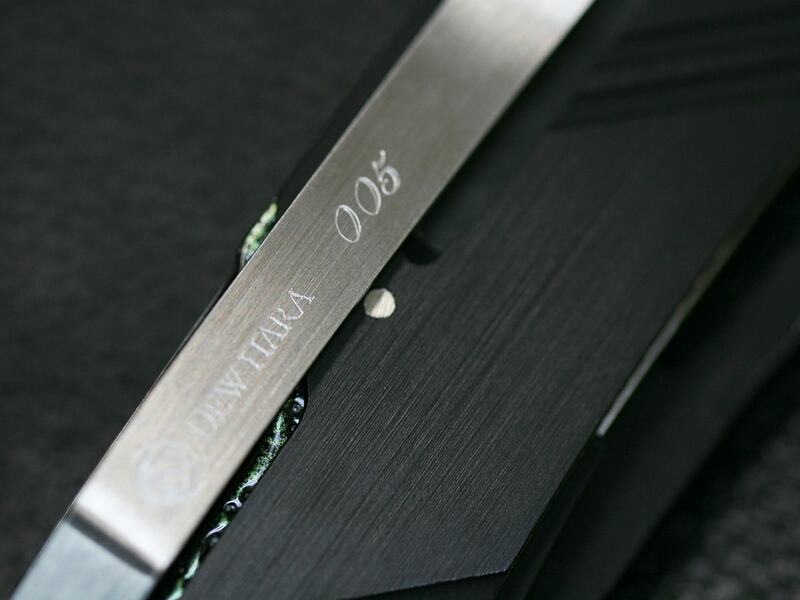 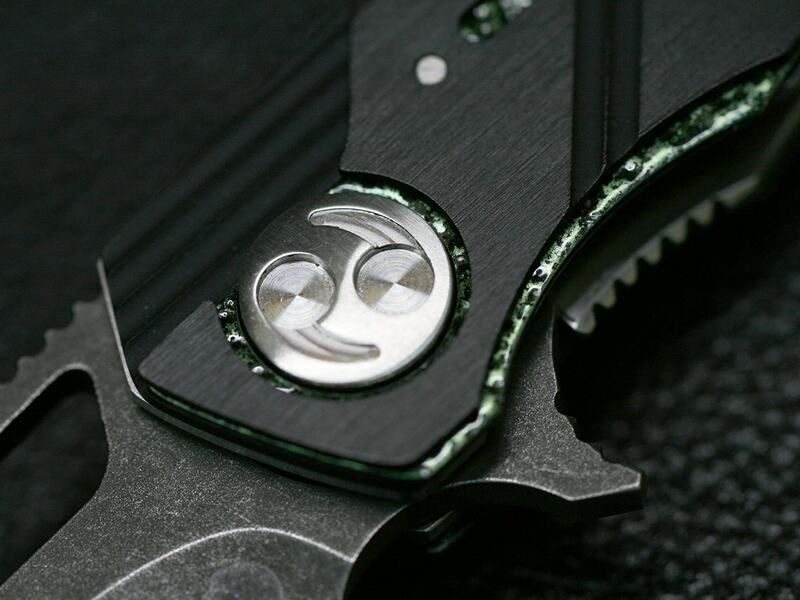 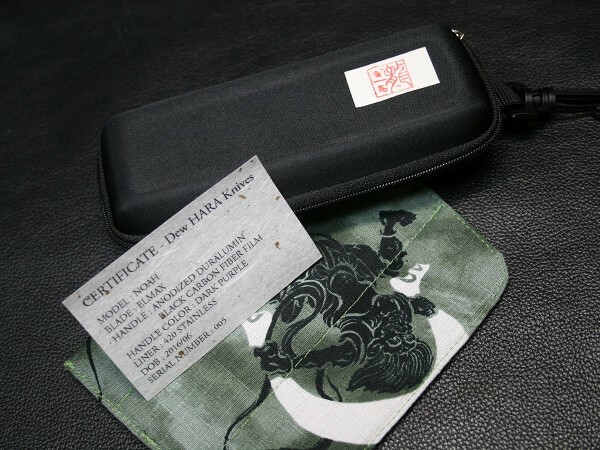 The handle is made of three layers of duralumin, the frist and third layers are anodized finish, and secound layer is the bump green powder coating which is glossy, the survace has a bmupy. 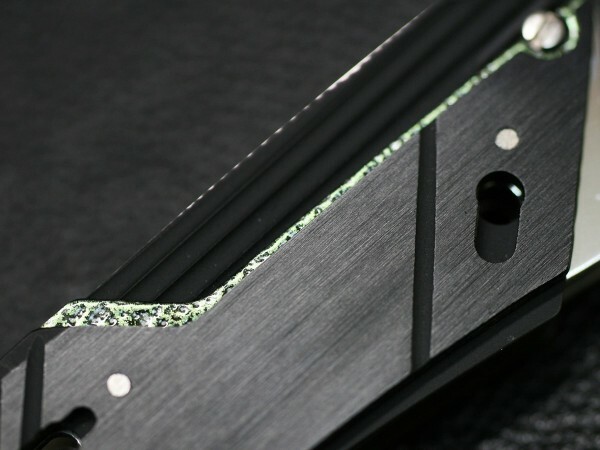 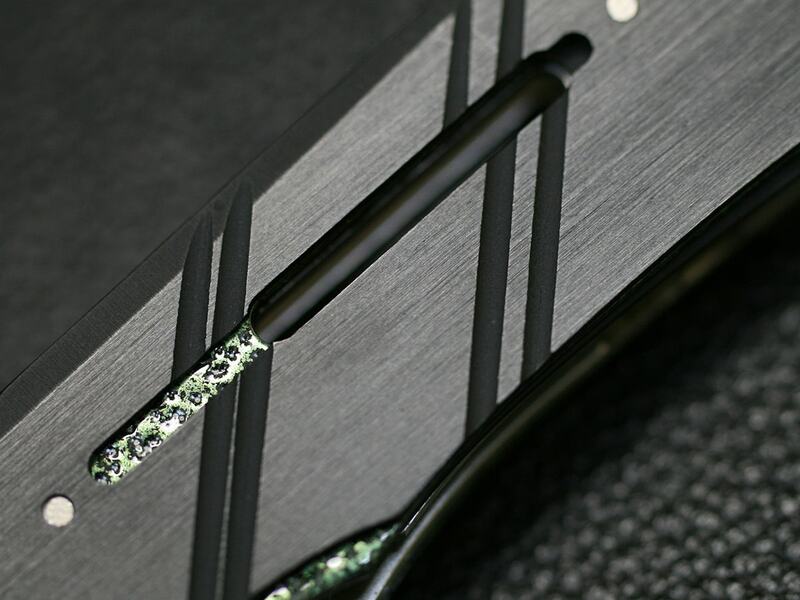 OU-31 is a micro fine steel developed by seeking after the bounds of quality of knife steel with "homogeneous", "fine" , and "clean" microstructure, using carefully selected materials. 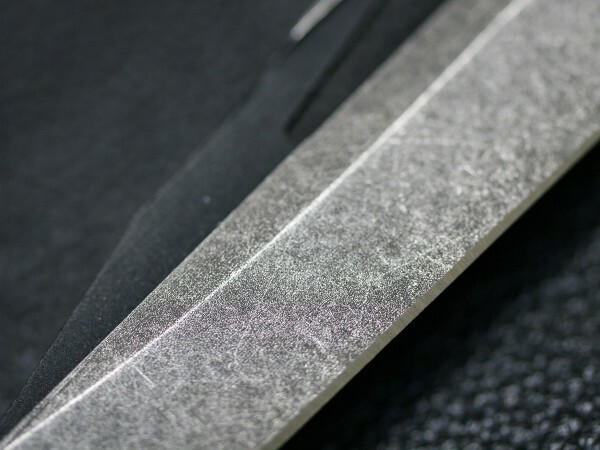 It features high hardness, HRc 64, and is 3 times tougher than that of D2. 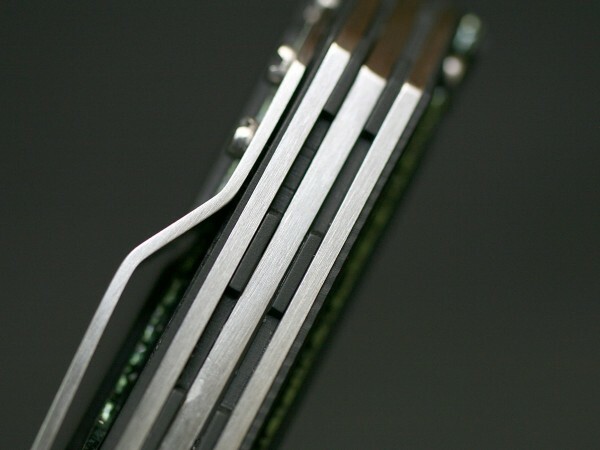 Reported to have 10 times longer edge holding than ATS-34 according to cutting tests.